Venue: St. Stephen's Church, Enfield, EN1 2EU. • Elgar Symphony no. 5, "Symphonic Fantasia"
Venue: St. Mary Magdalene Church, Windmill Hill, Enfield, EN2 7AJ. • Vaughan Williams Symphony no. 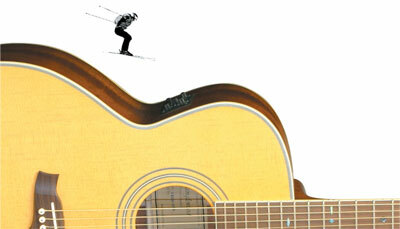 2, "London"
Venue: St. Paul's Church, Church Hill, Winchmore Hill, London, ​N21 1JA. Venue: Southgate (The Bourne) Methodist Church, The Bourne, Southgate, London, N14 6RS. • Elmer Four Scenes from "Seven for a Secret"
• Beethoven Symphony no 6 in F major, "Pastoral"
• Tchaikovsky Symphony No. 3 in D major, "Polish"
• Haydn Symphony no 100 in G major, "Military Symphony"
Kindly supported by Making Music's Philip & Dorothy Green Award for Young Concert Artists scheme. • Beethoven Symphony no 3 in E-Flat major, "Eroica"
• Elmer. Scherzo; The Uistman who couldn't tell a story. World premiere. • Mendelssohn Symphony No. 3 in A minor; "Scottish"
• Ludwig van Beethoven: Romance for Violin and Orchestra No. 2 in F major, Op. 50. • Camille Saint-Saëns: Introduction and Rondo capriccioso, Op. 28. • Carl Maria von Weber: Clarinet Concerto No. 1 in F minor, Op. 73. 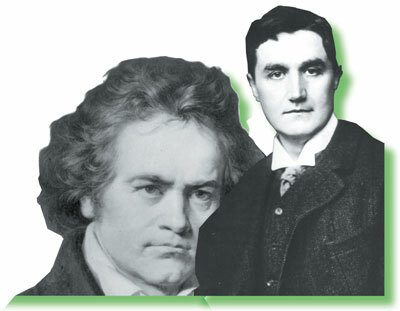 Information on the composers and pieces can be found on the following Wikipedia pages. • Violin Concerto in D major. Pyotr Ilyich Tchaikovsky. Listen on Spotify: Movement 1, Movement 2, Movement 3. • Symphony No. 4 in D minor. Robert Schumann. Listen on Spotify: Movement 1, Movement 2, Movement 3, Movement 4. Czech & Tartan? Tragic, Darling! • Paddington Bear's First Concert. Herbert Chappell. Celebrating the Southgate Symphony Orchestra's new status as a registered charity, we will be presenting some of the newest music we've played - Ralph Vaughan Williams' Symphony Number 5 in D (also commemorating the 50th anniversary of the composer's death). A full programme of two symphonies and a modern concerto to inaugurate Adrian Brown, new conductor of Southgate Symphony Orchestra. 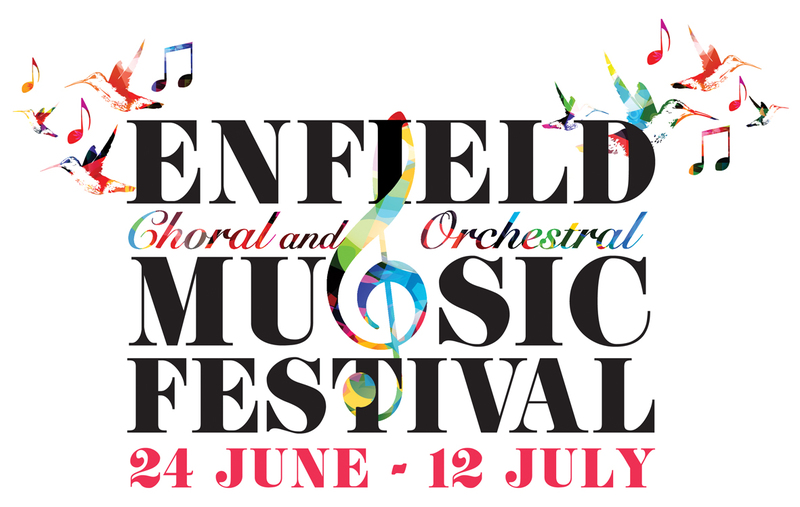 Programme: Beethoven Coriolan Overture; Mozart Clarinet concerto in A major, K. 622; Mendelssohn Symphony No. 3 in A-Minor ("Scottish"). 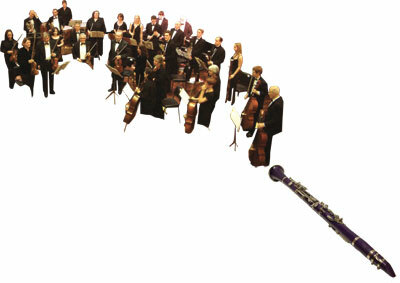 Programme includes Mozart Bassoon Concerto (with Tom Hardy), and works by Sullivan, Elgar and Bizet. 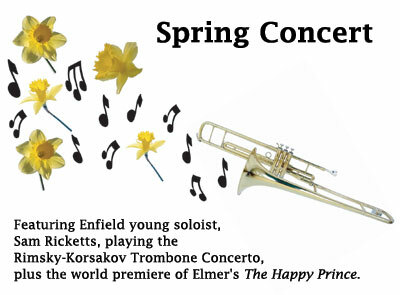 Featuring Enfield young soloist, Sam Ricketts, playing the Rimsky-Korsakov Trombone Concerto, plus the world premiere of Elmer's The Happy Prince. 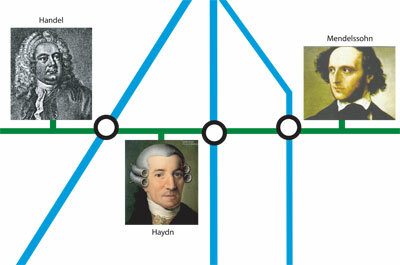 Also includes music by Beethoven, Mozart, Schubert and Elgar. A concert of operatic arias and duets sung by Lee Mason and Shirley Pilgrim, and orchestral music by the German greats: Overture; Fingal's Cave by Mendelssohn, Variations of St. Anthony Chorale by Brahms, and Symphony No. 2 by Beethoven. A Sunday matinee for the young at heart. 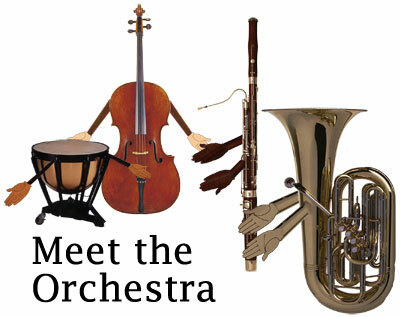 This light-hearted set of popular classics is sure to entertain and educate anyone aged 5 to 95. Programme will include Trepak from Nutcracker by Tchaikovsky, Vltava by Smetana, Alla Marcia from the Kerelia Suite by Sibelius, excerpts from The Royal Fireworks Music by Handel, and the March from the Love of Three Oranges by Prokofiev, as well as John Williams Star Wars theme. To take advantage of the reduced advance booking prices, please download the flyer (PDF, 95KB) and return the booking form. Marking the re-creation of Southgate Symphony Orchestra as an independent orchestra, this concert was a programme of romantic masterpieces: Weber's Overture to Oberon, Beethoven's Violin Concerto in D (Gavin Davies: solo violin), and Dvorak's Symphony No. 7. You can download the programme as a PDF file (526KB).